Breast augmentation is one of the most commonly performed cosmetic surgergical procedures . Breast enhancement is achieved by placing either a silicone or saline implant either beneath the pectorlis or on top of the pectoralis to increase size. One of the top concerns when considering breast implants is the severity and length of the resultant scar. Employing techniques that result in minimal scaring is always top priority for any good cosmetic surgeon. However, only the most skilled surgeons can truly provide minimal scar results. Dr. Elliot Duboys has been performing breast augmentations in the Long Island, Nassau and Suffolk County areas for over 30 years. With his experience employing the latest technology, Dr. Duboys can provide optimal results with as short an incision as possible. The Keller Funnel Method is one way that only the most skilled plastic surgeons can achieve a minimal scar in breast implant procedures. This technique has changed silicone breast implants procedures by revolutionizing they way surgeons orient and place an implant. The design of the Funnel creates a slick surface, which permits implants to easily pass through the Funnel and into optimal position all by reducing the length of the incision. Another added benefit to the usage of the Keller Funnel is reduced surgical times, which means less time under anesthesia for patients. 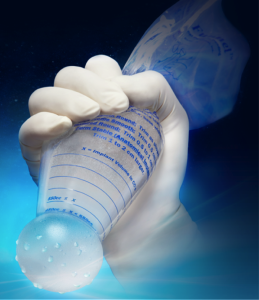 On average the Keller Funnel can save 10 to 20 minutes off of a standard breast augmentation. The Keller Funnel is used for many reconstructive breast surgeries since its use allows for easier and more efficient placement of implants. It is extremely important to talk to your surgeon about your best options for incision location and method used during surgery. This will help insure that you will have the shortest scar and the most efficient recovery time. Please contact us at our Huntington, NY office at 631-423-1000 to schedule your consultation with Dr. Duboys. During this first visit Dr. Duboys will be happy to explain all options and aspects of breast augmentation as well as answer any questions you may have about the Keller Funnel. Dr. Duboys has been providing leading cosmetic and plastic surgery procedures to patients in the Long Island, Nassau County and Suffolk County, NY area for over 30 years.